I don’t know how it is in your house, but around here those awesome LEGO sets they absolutely beg for get built, and then destroyed. Almost instantly. 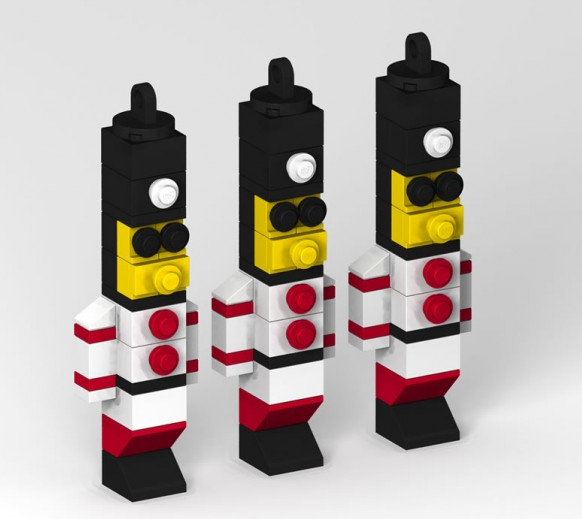 This is why we need those LEGO slippers. Amiright? Sure, they’ll go back and try to rebuild them later, but invariably the pieces all end up in one big bin. Which is fine. 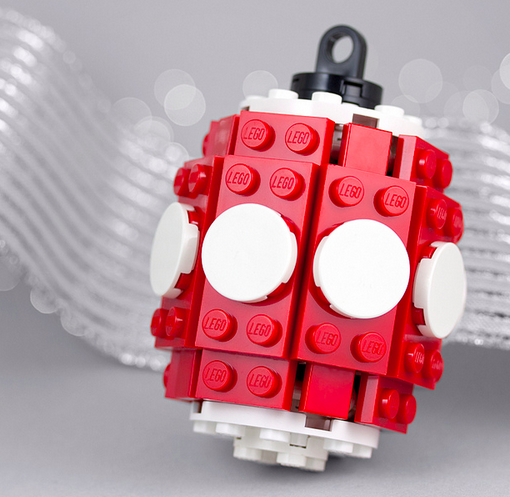 This why we love LEGO, right? They are meant to be remixed into something totally unique. 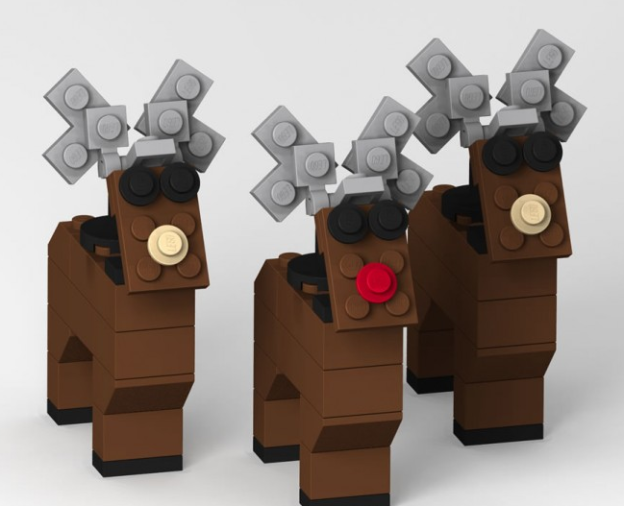 I just wish there was a better way to get random bulk bricks, instead of the expensive licensed sets they seem to be pushing on us all the time. But I’ll save that rant for another day. This is why you mix and match sets. 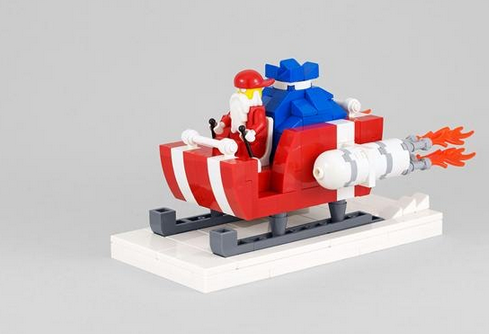 Santa doesn’t need reindeer when he has jet fueled rocket packs on the sleigh! You can get the brick building guide from Power Pig. Sweet and simple. You can get the brick building guide from Power Pig. You will definitely need the help of tiny fingers to put together this intricate house. 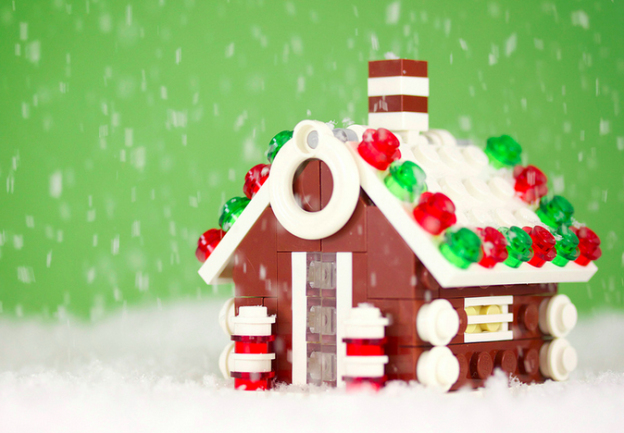 Just remember… no snacking on this one as you build! You can get the brick building guide from Power Pig. 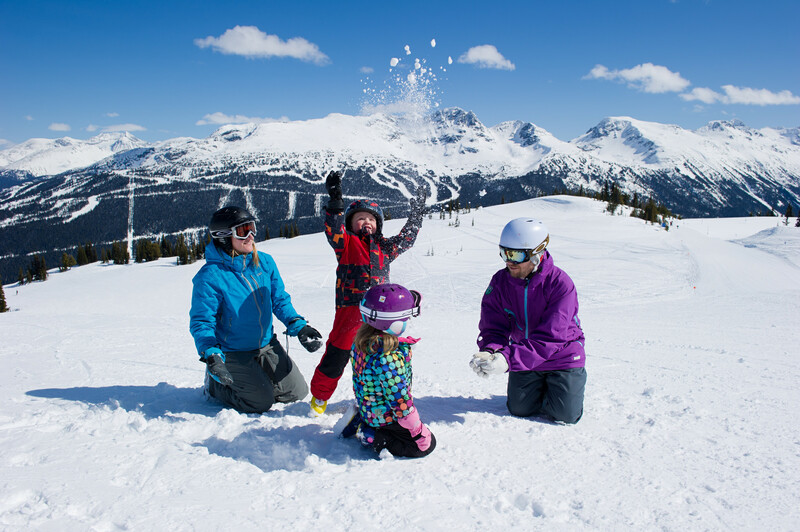 After the gingerbread house, start to build a gingerbread lane with a visit to the gingerbread shop. You can get the brick building guide from Power Pig. 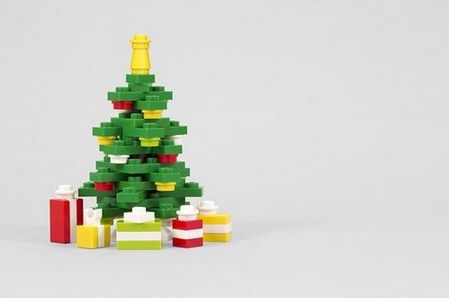 Got enough LEGO lying around the Christmas tree to decorate the Christmas tree? You can get the brick building guide from Power Pig. 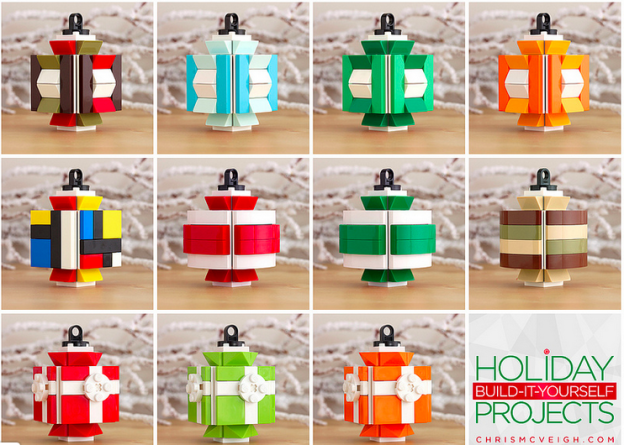 Once you get the hang of these templates from Power Pig, you can mix and match colors and pieces from different sets to create all sorts of beautiful designs. I love the 80s lantern on the middle left. 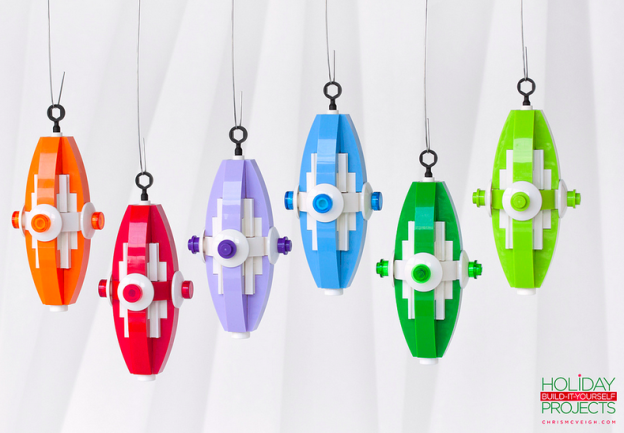 These are so futuristically elegant. 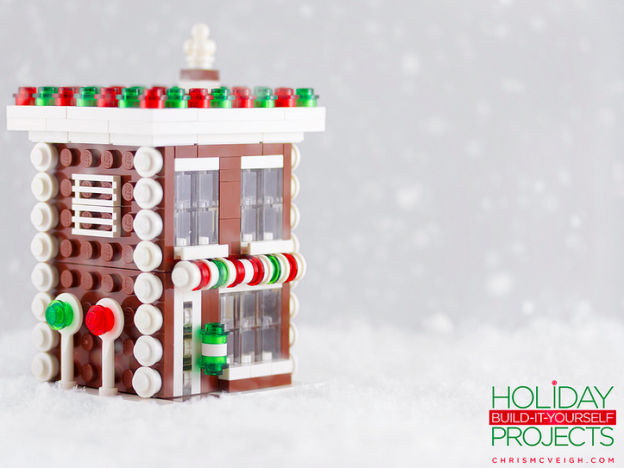 You can get the brick building guide for this LEGO Christmas decoration from Power Pig. 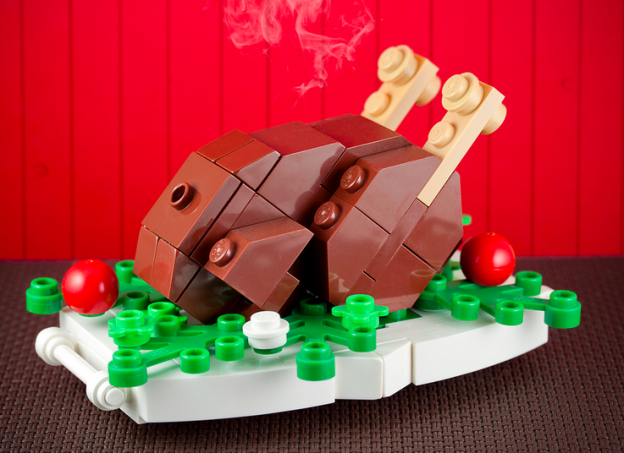 This turkey always turns out perfectly 😉 You can get the brick building guide from Power Pig. 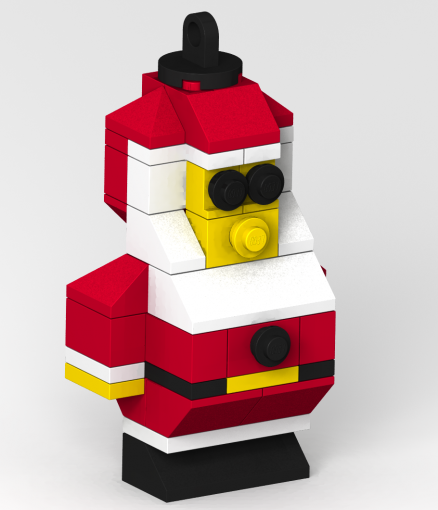 This guy should have no problem fitting down the chimney. 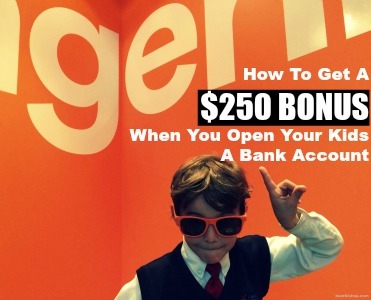 You can get the brick building guide from Fungineering. 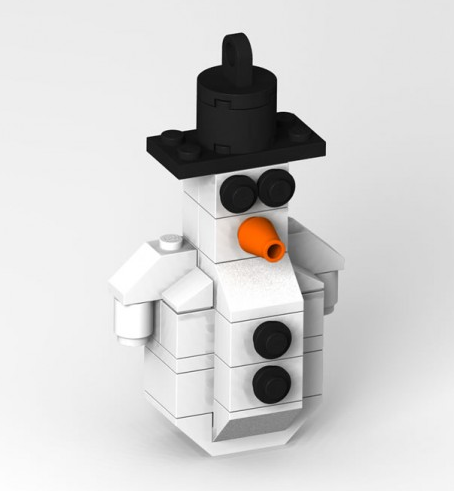 If a snowman looked like a duck and was made out of LEGO. it would look like this. You can get the brick building guide from Fungineering. It’s an entire nutcracking army. 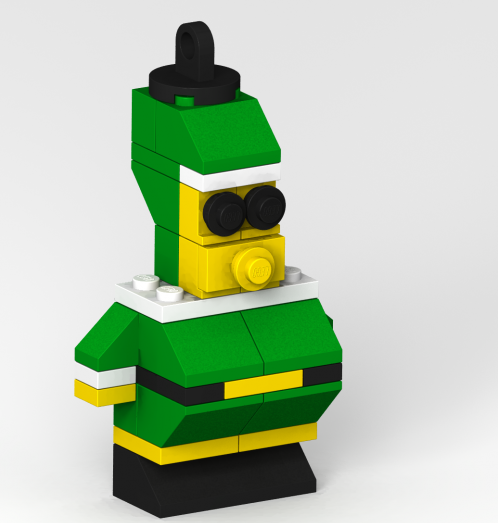 You can get the brick building guide from Fungineering. Buddy never looked so good. 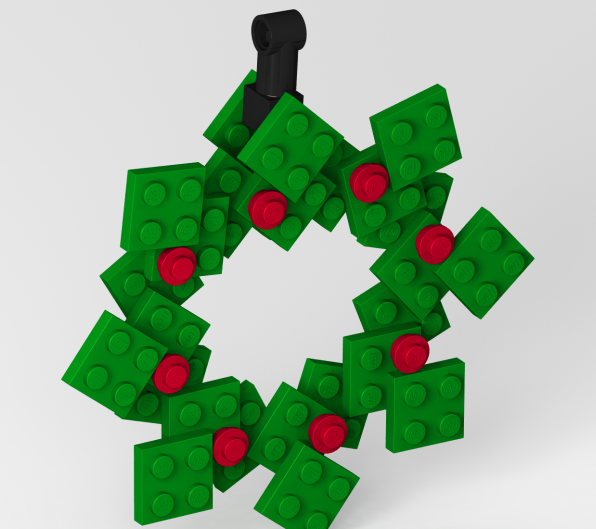 You can get the brick building guide for this LEGO Christmas decoration from Fungineering. We’re going to need 6 more there, gang. You can get the brick building guide from Fungineering. Can you make one big enough to hang over the fireplace? 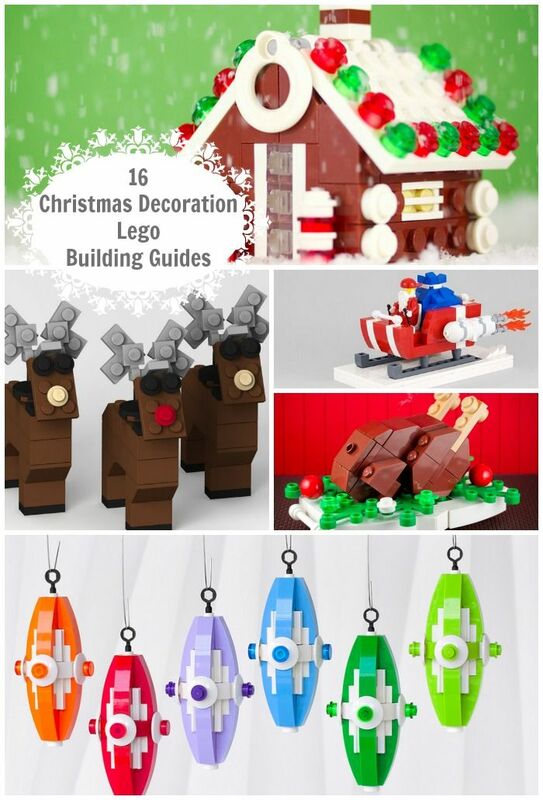 You can get the brick building guide from Fungineering. 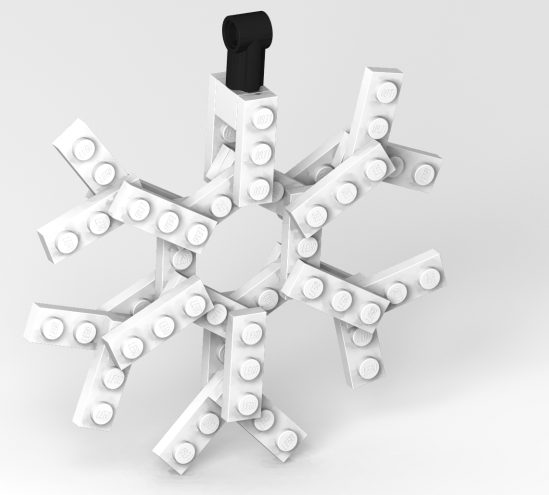 While you can get the brick building guide from Fungineering, once you have the general idea down, you can make any unique snowflake idea you want. 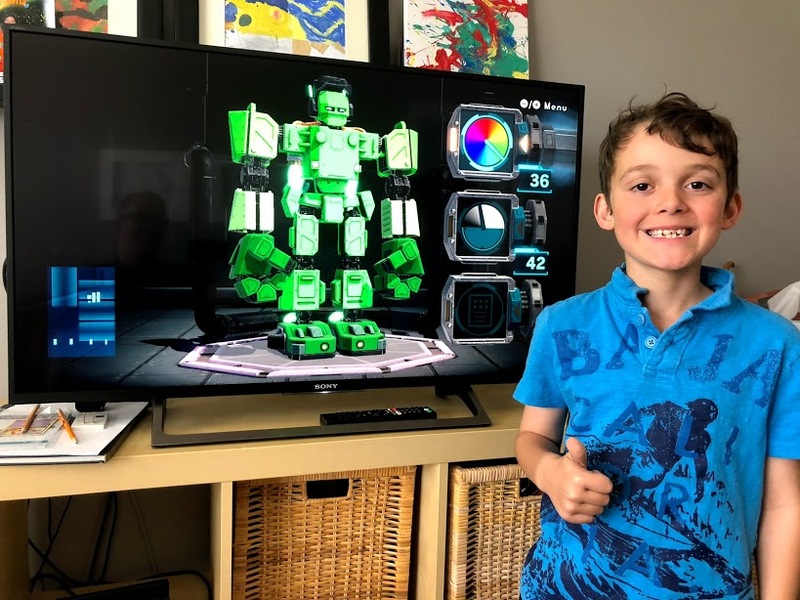 Martin Storbeck made a Snapguide for how to take some of your Lego sets and turn them into a centerpiece or decorative scene for a buffet. 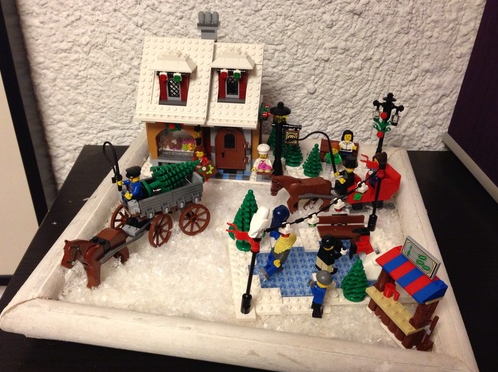 Just take a picture frame, some fake snow, and your Lego pieces to build the scene.